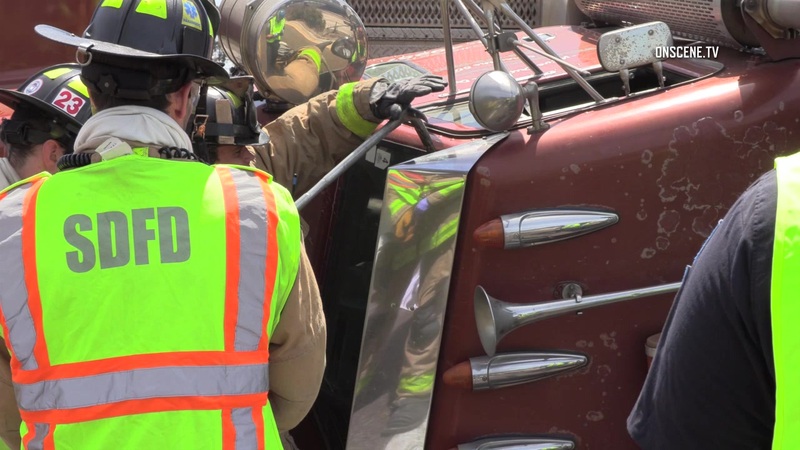 The on-ramp to the northbound Interstate 805 was closed Monday afternoon after a big-rig overturned on the on-ramp, firefighters said. The solo accident happened around noon, San Diego Fire-Rescue Battalion Chief Jared Deneen said. The driver was trapped inside the cabin of the semi-truck and had to be extricated, he said. The driver suffered minor injuries and was transported to the hospital. The cause of the accident is under investigation but it appears the driver came down the on-ramp transition too quickly and overturned. Debris were strewn onto the right shoulder of I-805. A Sig Alert was issued for NB I-805 at the Balboa Avenue exit. The on-ramp was closed for about five hours, according to the California Highway Patrol.